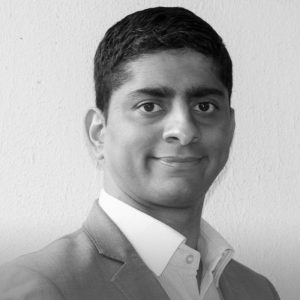 Mr. Raghunath Koduvayur is a marketing expert with several years of experience in international marketing and business development in large organizations and startups. As Head of strategic marketing at Tieto, Raghu is responsible for the development of an integrated marketing strategy for Tieto’s businesses globally, lead Tiedon Valo – a prestigious industry event, and lead partnerships with startup events like Slush. Before joining Tieto, he has held several leadership positions in Fortune 500 companies, including Head of customer sell-in for Asia Pacific at Microsoft and Global Product Marketing Manager at Nokia. He has extensive knowledge of B2B and B2C marketing, go to market strategy, entrepreneurship and leadership development. He is also closely involved in the startup ecosystems in Asia and Europe. He’s a non executive board director for Aaliya trading Oy, an angel investor in 3DBear Oy, founder of Shoppire, co-founder of GOI Finland Oy, and a program member of startup leadership program. He also delivers guest lectures for management students in India. In this business workshop, Raghu will train on ‘Win the heart, win the customer’ marketing strategies to attract investors, customers and employees in Europe and Asia.